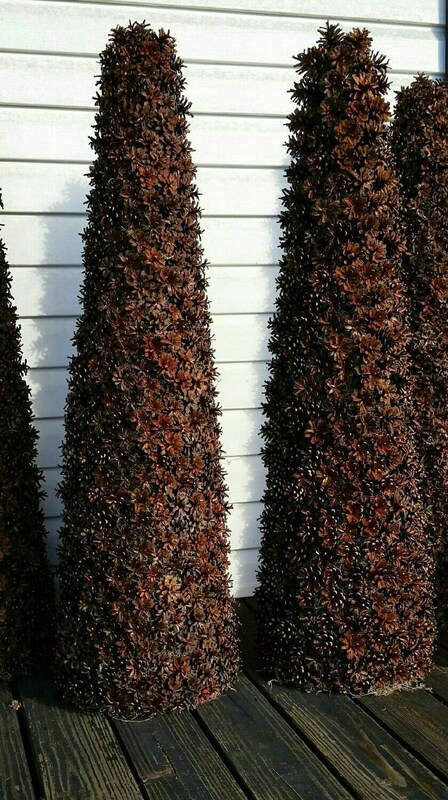 This listing is for one pine cone topiary. 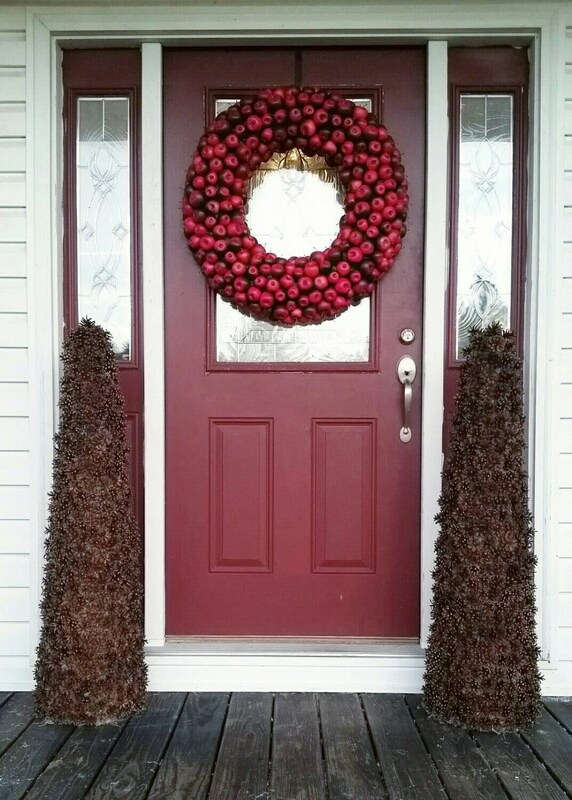 The apple wreath and additional pine cone topiary are not included. 48 inch topiary is pictured. Are you looking for a big and bold Holiday statement? Perhaps you are planning your wedding and searching for the perfect rustic charm. 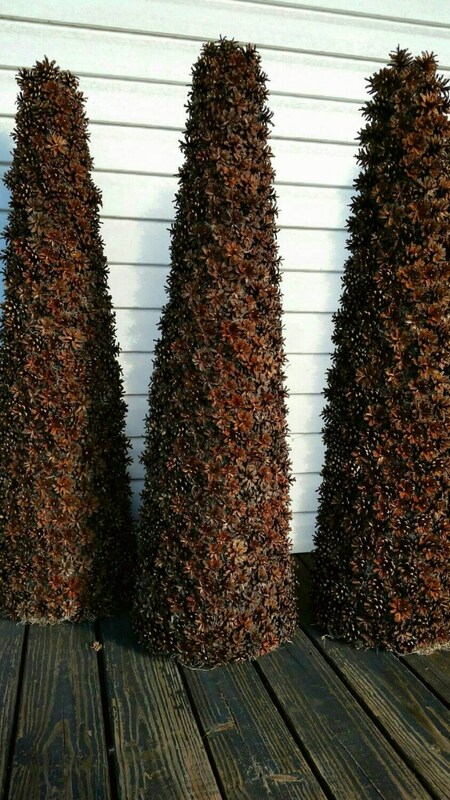 Our pine con topiaries would be a wonderful addition to anyone's Christmas or wedding decor. Our topiary forms are constructed of hand formed and shaped styrofoam. Wooden dowels have been added for stability then the entire form is covered in spanish moss. 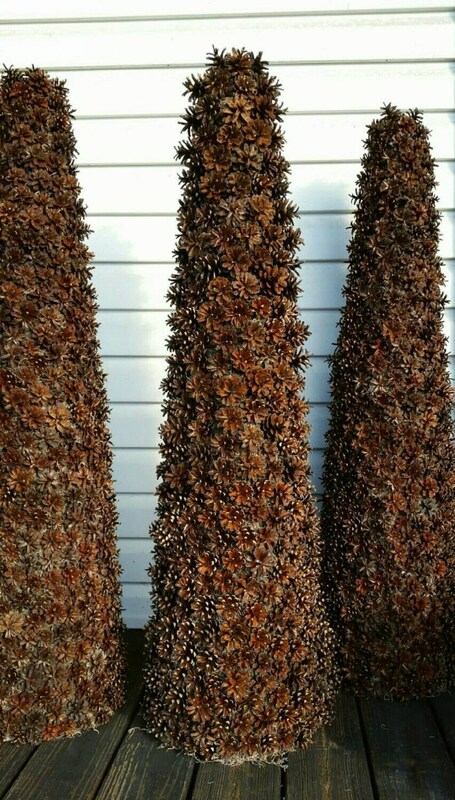 Hundreds of scotch pine cones were drilled by hand and floral picks were glued into the pine cones. The floral picks were then carefully attached to the topiaries and the end result is simply stunning. You have several sizes to choose from (height) and if you want a particular size not listed please contact me for a quote. Place the topiary beside your fireplace or buy two and decorate your mantel! Use as a beautiful centerpiece for your Christmas table. Want more height and to really make a statement? Purchase a large urn or flower pot with a pedastal and position the lovely piece in your entry way. However you choose to display this topiary will be beautiful!